There you are idly using your computer when, suddenly, you begin to hear a series of terrifyingly ominous noises coming out of your speakers. Among them is the horrifically wet sound of someone being stabbed, the manic laugh of a woman (or is she sobbing? ), and an atmospheric rumbling that evokes the creepy feeling of being deep, deep underground. These sounds repeat again and again until you finally identify the source: Somehow, Steam&apos;s music player (you didn&apos;t even know it had one, did you?) 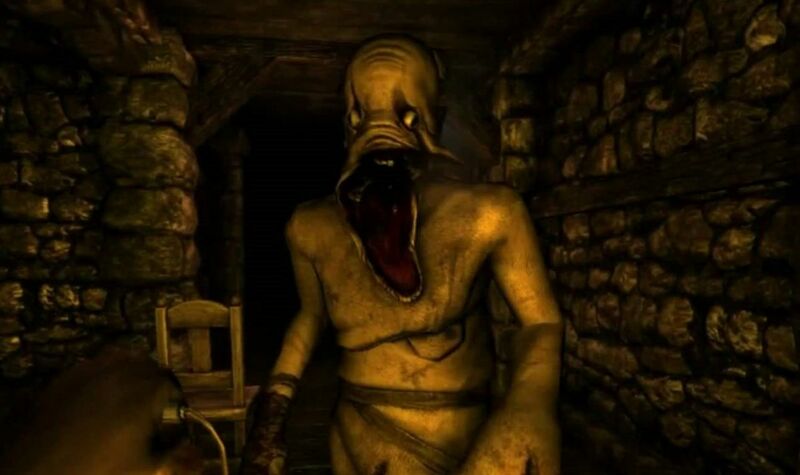 is randomly playing sound effects from horror classic Amnesia: The Dark Descent. It sounds like the beginning of some creepypasta internet myth, but this is exactly what&apos;s been haunting redditor &apos;YouNiqueUser&apos; and others over on the Steam subreddit.Yesterday, YouNiqueUser posted a thread on the Steam subreddit begging for help after twice returning to their computer to find it randomly playing that series of creepy Amnesia sound effects. &quot;Anyone know what they are/or how to delete them?&quot; They implored, including a screenshot of Steam&apos;s media player with a playlist of several inconspicuous sound files with names like &quot;00_laugh - sounds&quot;. I&apos;ve uploaded the tracks and embedded them below so you can hear them yourself.